What do you think of when you hear the word desert? 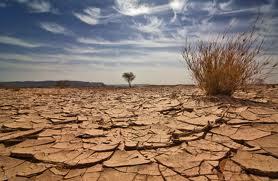 Typically deserts are hot, dry, parched and lifeless. Nothing can live long term in the desert. It's not a place where most would choose as a vacation destination. Many of God's children are in a spiritual desert, an extremely tough season right now. I can't articulate all the different stories I've been hearing and even experiencing personally, but I know that lots of us are going through some very challenging times. We are experiencing financial droughts, health droughts and relational droughts. So - why does God allow such hard times - desert seasons? The Lord is always looking for willing hearts who will trust and obey Him. The Lord uses difficult seasons to strengthen His children. It's in the dry deserts and valley's that God helps us to grow spiritually. This is where we decide if we are fully committed to the Lord. The valley is what helps us to know whether or not we will truly trust the Lord for all things. God knows whether we will, but He wants us to know too. "For the eyes of the LORD move to and fro throughout the earth that He may strongly support those whose heart is completely His. I believe that when we say yes to the Lord, when we tell the Lord we are willing to do anything for Him, He takes us seriously. I also believe the Lord has chosen us in advance to have willing hearts to do what He asks of us. (Eph 2:10). 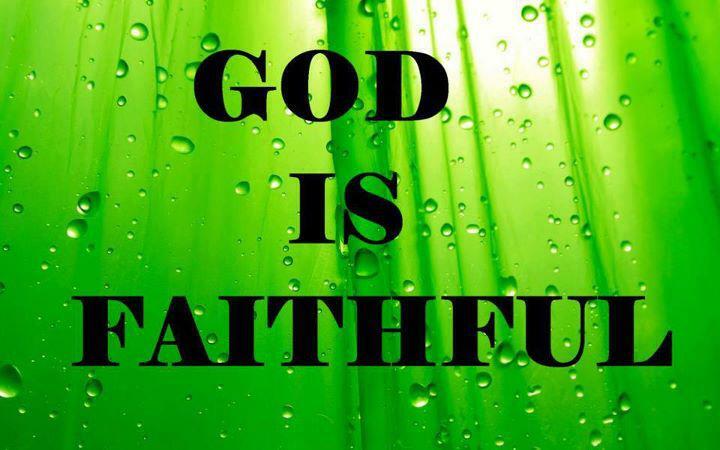 I believe He already knows who will be faithful, committed and sold out at all costs and who won't. It's the valley of decision - will we push through or will we wander in the desert forever? In the desert, we learn to hunger and thirst for God. The desert essentially builds our faith to prepare us for our Promised Land. O God, You are my God! Early will I seek You! My soul thirsts for You, my flesh longs for You in a dry and thirsty land where there is no water, to see Your power and Your glory, so I have seen You in the sanctuary. Because Your loving kindness is better than life, my lips will praise You! Thus will I bless you while I live. I shall lift up my hands in Your name. My inner being will be satisfied as with marrow and fatness; and my mouth will praise with joyful lips ; when I remember You upon my bed and meditate on You in the night watches. The desert is a hard place. You're weary and worn out from the journey. It's a very lonely place, because your friends don't know what to do for you or they just avoid you. They can pray but they don't have many words that can bring comfort. In the desert, you question your faith, you question whether or not you truly heard from God. Raw and real emotions are exposed. I believe God's goal for us in the desert is to have you go from believing in Him, to believing Him and His timing. Let me say that again - we go from believing IN Him to BELIEVING HIM! Here are four additional points we will learn in the desert! know that God will respond - He will speak to you and bring you comfort as you go through this season. He wants you to learn that He alone is enough and that He is with you. know that God will answer your prayers - He may not answer your prayers the way you expect as His ways are not our ways (Isaiah 55) but He hears and He responds. that He will show Himself mightily on your behalf - but in His timing - because He is all about bringing glory to His name! The only way to please God is by living a life of faith! Obedience to what He tells you in His word or speaks to you in your inner man is faith. Partial obedience is disobedience and is not faith! To obey is better than sacrifice (1 Sam 15:22). We must choose to live our lives absolutely dependent on Him. We need to trust Him for all things we have need of. He is Jehovah Jireh! I can't say the desert is easy in any way, but if you surrender your will to His, and you trust Him fully, He will show how loving and faithful He is. Here is a song that has been comforting us in this season. http://www.youtube.com/watch?v=KvfCMoLIi98 Pour out your spirit by Shannon Wexelberg. So our challenge to you today is to seek the Lord diligently - ask Him to show you if you are truly following Him wholeheartedly? Are you committed to do whatever He asks of you even if that means radical sacrifice? And if you're not right now, are you willing to lay down your personal agenda and choose His today? I end with a quote that John Bevere just tweeted on Twitter: "We choose amid the hardship to believe God, even if it appears to be to our disadavantage. This is when true spiritual growth occurs". Ken and I are anxiously awaiting for God to bring us out of this desert place. We appreciate those of you have been so faithful to pray for us and to hold our arms up when we have been to weary to do so ourselves.